The idea of marijuana as a panacea for neurologic conditions has come into play, leading to a need for clarification about the use of CBD for these conditions. On June 25, the FDA approved cannabidiol (Epidiolex), the first marijuana-derived pharmaceutical product, for Dravet syndrome in patients aged 2 years and older. Despite the therapy’s lack of the component of marijuana that causes a “high,” the approval has caused confusion for patients and providers alike, noted Steven S. Chung, MD, the executive director and program chair of the Neuroscience Institute and director of the Epilepsy Program at the Banner University Medical Center. To clear up that confusion and provide further insight into the use of the medication, Chung spoke with NeurologyLive in an exclusive interview. NeurologyLive: This year, cannabidiol (Epidiolex) was approved for Dravet syndrome. What’re your thoughts on it? 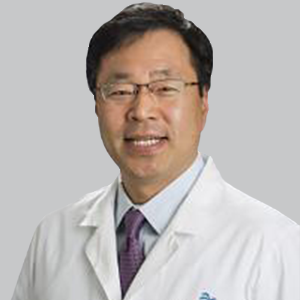 Steven S. Chung, MD: Overall, I think the sentiment nowadays is that marijuana is coming as more as a panacea for a lot of diseases, including epilepsy. First of all, the key component that makes you ‘high’ does not have any medicinal value in terms of epilepsy treatment, as far as we know. There’re no systematic studies looking into whether the marijuana itself is useful for that or not. Recently, cannabidiol (CBD) is the one that showed efficacy, but people tend to extend that into any other epilepsy. It becomes this everyday conversation that occurs when people who do not have Lennox-Gastaut syndrome or Dravet syndrome come in asking about marijuana or CBD. The fact is, in the small studies looking into CBD, patients are given it as a solution, or as a paste, and the synthetic CBD did not show any significant seizure improvement for focal seizures, the bread and butter partial-onset seizures, or focal epilepsy. Only with LGS or Dravet syndrome, so far, have the studies shown efficacy. So, number one, we have to be very careful not generalizing the efficacy of CBD. It is confined, as evidence suggests, to those 2 syndromes, but not other types of epilepsy. Are there any education concerns for patients or providers about the therapy? There is a general notion that CBD is a natural extracted product and therefore has no adverse effects. Nothing could be further from the truth. Even the natural therapies can cause adverse effects, and CBD does cause adverse effects such as sedation, for example. That’s probably the number one adverse effect. Also, there are drug-to-drug interactions. These patients are taking not only CBD but some other medications as well. For example, patients with LGS who are taking clobazam with CBD added, they’re expected to have some drug-to-drug interaction. It can make the people toxic from the medication. Basically, with the active metabolizer of clobazam, serum levels shoot up when taking CBD with it. We have to be cautious about potential drug-to-drug interaction, it’s not just adverse-effect free or has no concerns whatsoever—there are concerns to be aware of even though its byproduct of natural marijuana. Are there any cost concerns related to this medication? The problem with this medication coming in with an orphan designation that’s specifically targeting this small percentage of patients, they got significant pricing—it’s very expensive. We can talk all day long whether it’s justifiable or not, but we’re talking about more than a $100,000 for the treatment of 1 individual per year. This medication has a significant cost associated with it, and whether insurance is going to cover it or not is a secondary issue, but overall, the burden to the medication industry is quite significant because the cost is quite high. What’re your thoughts on utilizing this, or any, new medications? When should physicians look to them? We have to be mindful of not injudiciously using all these medications whenever we see LGS. We have to be able to utilize the medications that were already approved for LGS, and then cautiously introduce this when we have a better understanding of adverse effects and interactions and education for the patients. Then CBD and fenfluramine and these kinds of medications can be used later. Are there any challenges you see with epilepsy in general? I have to emphasize that epilepsy is a very common syndrome, and a lot of times we don’t recognize it. We cannot spot people out of the crowd. The notion that all epilepsy patients have cognitive impairments, physical limitations—that’s not true at all. The majority of patients live their normal life and accept the fact that they have the seizures at given times. Otherwise, they’re functioning normally, many of them are, whether they’re taking medications or not. Really, understanding epilepsy has been lagging behind. Even though we have far more advanced knowledge on headache and Alzheimer disease and movement disorders, the stigma with epilepsy is still very challenging. People don’t want to talk about the fact that they have epilepsy, or their family doesn’t, and they’re hiding it— which can be easily done because it has episodic paroxysmal symptoms and otherwise they can be a normal person. We have to continue focusing on educating the patients and patients family that and then get rid of the stigma out of the system.